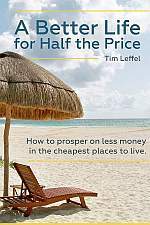 Mexico is a great travel bargain right now thanks to a strong dollar and weak peso, plus no matter where you go there the weather is better than most states and provinces to the north. One of the other main reasons more than 30 million travelers a year flock there though is that it is relatively easy to fly to Mexico for a good price. Plus it keeps getting easier. A relaxation of rules this past year has led to more competition at key airports. With Southwest adding more and more options plus the Mexican airlines adding capacity, there are also extensive opportunities to go with an airline that doesn’t nickel and dime you for your vacation luggage. Sure, you can find a flight on the usual suspects plus JetBlue, Frontier, and Spirit, but your best choice might be a Mexican airline. They’re getting to a point where there are more choices in that country than there are in the post-consolidation USA. You’ve long been able to get there on Aeromexico from some cities, but now there are more alternatives between the two countries. Note – This article originally appeared in 2017, but was updated in June of 2018. Despite all that, they often have the best value you’ll find from the right U.S. airports, like that sub-$100 flight from Miami to Mexico City you see at the top of this post. That’s worth doing for a long weekend! They fly from 10 U.S. airports, including Orlando, the most recent addition. 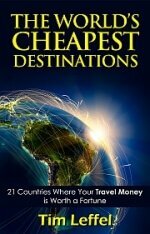 They also have good rates within Mexico. I once flew them with my family from Mexico City to Puerto Escondido. The flights came out to be about $20 each more than the very long bus ride would have been. It doesn’t end there either. Interjet also flies to Costa Rica, Cuba, Guatemala, Colombia, and Peru. You could in theory go from New York City to South America on this airline—probably for less than you’d spend on any of the less pleasant big 3 U.S. options. Competing as a budget airline these days, Volaris adds lots of fees for services you would normally expect to be included. (They have 23 different codes just for all the different kinds of bag fees, but you can still bring a carry-on for no charge.) Volaris is still better than Viva Aerobus (see below) and has a good number of direct domestic flights that enable you to avoid going through Mexico City’s chaotic airport. Their big advantage though is they fly to an impressive 24 destinations in the USA, including smaller markets such as Austin, Milwaukee, and Portland. If you plan ahead those flights are often crazy cheap, especially from Las Vegas. That’s the base fare though. When I checked a one-way flight from Chicago to Leon a month from now, the base fare was $170 but the fees were $77 more. They bundle these together in three options, which could accurately be called “minimum,” “decent,” and “Southwest amenities plus a seat assignment.” No matter which class you buy, you’ll have to pay up for something to eat or drink. This airline is an oddity because it mostly flies prop planes instead of jets. Its original mission was to shuttle oil workers to places people had no reason to visit otherwise, but over the years they have expanded into leisure destinations too. It feels kind of strange these days to get into a plane with propellers that seats more than 10, but inside it’s like any other modern airplane. Aeromar has gone from 27 to 19 destinations as competition has heated up and their only remaining U.S. destination is McAllen, Texas. They are sometimes, but not always the cheapest option for second-tier cities they serve such as Zihuatanejo, Puebla, and Oaxaca. One checked bag and a carry-on are included. Aeromar is now 49% owned by Avianca, so they’ll be sticking around for a while. What would happen if RyanAir and Spirit got married and moved to Mexico? Viva Aerobus! If you don’t mind paying as much in fees as you paid for your fare, this is the Mexican airline for you. They follow the much-hated playbook of charging you for everything that they can get away with, including picking a seat, packing a carry-on, or getting a boarding pass at the counter. They are basically competing with the very nice local bus companies—thus the name—but the Mexican buses actually give you more than you expect for free while Aerobus keeps reaching into your pocket. The total fares can be far cheaper than the bus though, especially for long distances. I’ve seen Mexico City to Cancun on some dates for about $60 round trip. Even if you check a bag, bring a carry-on, and pick your seat it comes in under $100. As with Allegiant and Spirit, it can be worth it to pony up for the fees to save overall. They also have a price guarantee that they won’t be undersold, but there’s a lot of fine print. Technically this is an international airline because they have flights from Las Vegas and Houston, but you have to go through Monterrey, which is not going to be the first choice for many vacationers, especially if they don’t speak Spanish well. This unfortunately named airline is not stuck to the ground. It reaches 25 destinations from coast to coast across Mexico with its 50-seat jets. From its hub in Queretaro (near San Miguel de Allende) it originally flew to beach destinations and still does. But now it flies from Mazatlan to Huatulco to Merida. They’ve been trimming the cities a bit though: they no longer fly to the Baja Peninsula. The website is only in Spanish and you won’t find these flights on Kayak, but get a fluent friend or pop into a Mexican travel agency to sort it out. If you do you might connect between two cities you didn’t know had air connections or get a deal like I found for $50 one-way between Guadalajara and Mazatlan. Flights are domestic only for now. You can check one bag and bring a carry-on with no charge. This upstart airline based on Los Cabos flies planes as small as 13 passengers up to Embraer jets with 3 seats across. As you’d expect, they’ve got Baja covered, but they also fly to San Diego and across the country to Palenque, Cancun, and Guanajuato (my home–yea!). Just understand the long hauls may require a few stops. You’re allowed one checked bag and a small carry-on, but must pay for anything to eat or drink. Not to be confused with Maya Island Air of Belize, this airline based out of Cancun flies to Cozumel, Chetumal, Merida, Veracruz and Villahermosa. So no international flights, but it gets you close to Belize anyway if you’re headed south and are willing to go overland or by ferry to Ambergris Caye. They’ll get you ready for the Belize experience too because these are all prop planes. If you’re wanting to get from Oaxaca City to somewhere else in that region, Aerotucan has monopolistic prices but could save a day or two of your life that you would have otherwise spent on a bus. This airlines flies between there and Puerto Escondido, Huatulco, and in theory the capital of Chiapas (I couldn’t find that available for purchase). Somewhere in Quintana Roo is “coming soon” says the website–which is only in Spanish. You can check a bag up to 15 kilos of weight. Thanks for this—a new option I didn’t know about. This is exceptional – thanks Tim! I fly from Mexico City to Ciudad Juarez on a regular basis. I think grab an Uber from the airport to the border and then walk across into El Paso. It is a lot cheaper and faster to go this route than to fly directly into El Paso; often for less than $140 each way versus $300 and only takes 3 hours versus a 7 hour flight because a layover. I have flown both Viva Aerobus and Interjet. My wife and I used to prefer Viva Aerobus when we flew up because we would travel to the US with empty suitcases and then return on Interjet with their generous checked baggage policy. Since Viva Aerobus changed their method of charges, we only fly Interjet; in the end, it is cheaper to do that with Interjet versus the Viva Aerobus charges on top of the ticket. Thanks for the tip Steve! I have friends who fly to Tijuana for the same reason, crossing into San Diego instead of flying there. I’ve actually never been on Aerobus. Too much like Spirit Air with a charge for anything and everything. There always seems to be a better alternative where I’m going. We’re Canadian and flew direct from Toronto to Cancun on Interjet and loved it! You can bring a backpack for your free carry on along with a personal item (ie. a purse), seats were comfortable, plus they give you a drink, snack and sandwich at no charge at a very good price. I just booked directly through their website.